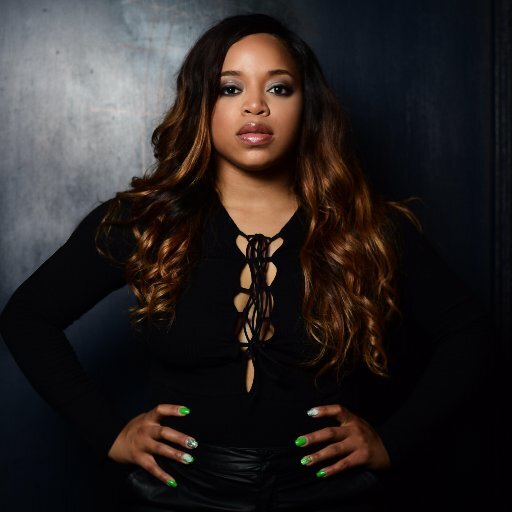 Deli Rowe is an indie soul and R&B singer/songwriter based out of Richmond, Virginia. With a sultry voice that draws you in with its sweet caress of soul, she has been building a loyal following in Richmond and beyond, starting with the release of her 2010 self-produced debut EP, Growing Pains, her 2014 R&B smash, Losing Ground, first indie soul EP release, the Art of Possibility in 2015, and her 2016 follow up release, Smile Again. In the past year alone, she has built a 6,000+ strong fan base via live performances & social media, and has built a reputation as a vibrant, authentic and passionate performer with an unshakable determination to succeed. Her sophomore release was for the single, Losing Ground, which gained her airplay in six international countries as well as in several major US cities, rising to #3 on the UK’s Still Dope Radio Charts. In September of 2015, Deli released a four song EP, The Art of Possibility, which she describes as a “creative memoir of music and art that speaks to the possibilities within.” The single, Empty, has been featured on Jazzy D’s Quality Soul Podcast in Australia, and she was recently selected as Artist of the Week for Amsterdam’s popular Tribe of Noise website. Some notable honors include being a selected performer at Radio One’s Stone Soul Festival in central Virginia, selected performer for the 2016 ASCAP Expo in Los Angeles, CA, and being chosen as one of Mocha Man Style’s Five Indie Artists You Should Know. Deli was also one of twelve artists selected for Johnny F. Stroke’s Soul in a Digital Age Magazine and was featured on UK-based radio host David Durant’s its All Good Radio Show. She is an outspoken advocate for self-empowerment who is inspired by having a story to tell, and is driven ever forward by the response she receives from her adoring audience. She has performed in over fifty cities across the United States as well as in the United Kingdom, and performs actively in and around Richmond, gaining new fans every time she plays. Connect with Deli through her social channels to stay up to date on new music, live shows and everything good in her world.